December 5, 2018 Rainbow Six Siege’s Pilot Program skins are available now. Ubisoft has kept us waiting for a very long time on Rainbow Six Siege’s Pilot Program skins, but now they’re finally live alongside the latest operation. If you want a look at the skins in action, the devs have provided a brief teaser showcasing the new looks. We’ve seen teasers and leaks of the skins before, but this is a much clearer view. We’ve got Rogue Buck, Liquid Smoke, Faze Clan Hibana, Evil Geniuses Pulse, Immortals Mira, Penta Lesion, Fnatic Thatcher, and Ninjas in Pyjamas Glaz. You can see the teaser vid below, or just hop in-game to grab the new skins for yourself. The operator skins are part of Siege’s partnership with ten esports organizations, and as such they’ll be available in the Siege store, with a portion of the profits going directly to the teams and tournaments. 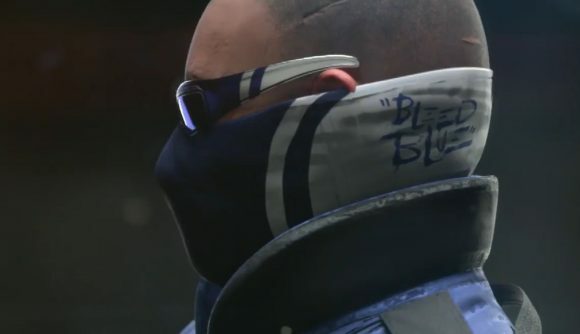 Ubisoft announced the program earlier this year during the Paris Majors, and began with custom weapon skins and charms coming out for each team. The revenue-sharing program splits profits from the sales of skins and charms such that 21% goes to the teams themselves, and 9% goes to the Siege Pro League invitational prize pool. We’re excited to announce that the Pilot Program teams uniforms and headgear will be releasing today alongside Operation Wind Bastion. This is the best way to support your favorite teams, with 30% of the revenue going directly to the organizations! Check out our Wind Bastion tips if you’re struggling with the new operation so far. Or, if you prefer, you can simply dump money into new skins so you can look good and support players who are much better than you.